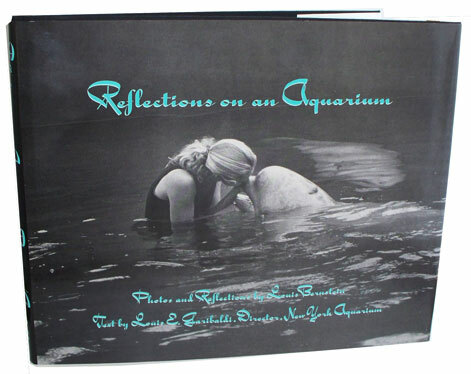 Lou Garibaldi, Ph.D., former Director of the New York Aquarium and Lou Bernstein’s “Reflections On An Aquarium” is a fascinating photographic and educational journey for all to enjoy. CLICK HERE TO Order this book Now for $29.95 plus $6.95 USD shipping and handling. Is The Weedy Sea Dragon a miniature Loch Ness Monster? Nautilus the Extra-Terrestrial of the Sea. Explore the excitement and wonder that floats before your eyes in Reflections on an Aquarium. Visitors of all ages to the world's great aquariums find much to appreciate -the wonder, the beauty, the drama of the world of beings who inhabit great oceans, seas, lakes, and rivers. Aquariums are a rare window on an existence where children and adults together witness this society, large and small, living and caring for each other, communicating in very special ways in an aquatic environment. Here, capturing the panorama are photographs and commentary by Louis Bernstein, who has spent more than 30 years and 36,500 hours, taking thousands of pictures, and descriptions and explanations by Louis E. Garibaldi, Director of the New York Aquarium. Reflections on an Aquarium relates for the first time, the relationship of the sea life, in a warm and understanding way that is sure to delight readers of all ages. It presents a remarkable view by two people who share both respect and love for the creatures of the sea. Reflections on an Aquarium is a trip to take and enjoy for everyone, wherever you live, many times over. Louis Bernstein cannot swim, but he has spent a lot of time taking pictures of beluga whales, sharks, walruses, seals, sea lions, toadfish, bass, trout and dolphins as they swim underwater. For the last 26 years, the New York photographer, who is 81 years old, has been taking pictures at the New York Aquarium, working five to six hours a day, sometimes seven days a week. Usually rising around 6 A.M., he takes the bus from Nostrand Avenue in Brooklyn to the Aquarium in Coney Island, where he shoots intimate, scientifically revealing pictures. "By the time the public starts filing into the Aquarium," Mr. Bernstein said, "I'm through shooting for the day and packing up my equipment." Mr. Bernstein is armed with information that he has picked up from scientists working around him, and his photographs reveal the lives and social structures of the undersea inhabitants. His work includes pictures of foragers as they search for food, portraits of isopods that look like artists' illustrations of creatures from another planet, and images of dolphins using their mouths to hold on to each other the way that he said, "two lovers might hold hands." Louis E. Garibaldi, the Director of the Aquarium said: "Many of Lou's images are short-lived phenomena-unique interaction between whales, between dolphins. One would have to wait for hundreds of hours for them to occur. None of his pictures are staged, air-brushed or manipulated in any way. They are real." Mr. Bernstein has been taking photographs for more than 55 years, much of the time earning his living as a camera salesman. From 1945 to 1958, he worked for Peerless Camera Stores, and from 1958 to 1973. Willoughby's Camera Store - both popular New York photography stores. Knowledgeable about all phases of photography, Mr. Bernstein had a devoted clientele and a sterling reputation in the photographic community. He sold cameras to veteran photographers, young people just starting in the profession and students who later became professionals. Customers often initially thought that this articulate man with his vast photographic knowledge was trapped behind a camera counter. 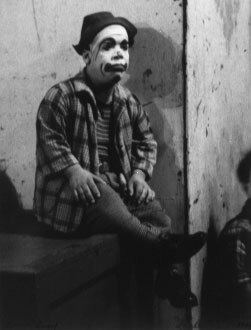 But they later learned that when the store closed, he printed his own pictures, hung shows of his own work or taught at one of the city's photography schools. Mr. Bernstein said his teachers - Sid Grossman. a founder of the Photo League, and Eli Siegel. the founder of Aesthetic Realism - had a great impact on him. Today, he carries on their legacy, lecturing to groups and working individually with gifted students who cannot afford to pay for lessons. He uses Minolta equipment; two X-700 Minolta camera bodies, along with Minolta lenses - a 45-millimeter f/2, a 38 -millimeter f/2.8, a 35-to-70 millimeter zoom f/3.5, and a 75-to-200-millimeter zoom 174. He focuses manually, uses a lens shade and rarely puts his camera on a tripod. He usually uses Kodak Tri-X film, which he exposes at 400 ISO for the Aquarium shots and 300 ISO when he is outdoors. He does all of his own printing, using Agfa Portriga Rapid paper, which he likes because of the warm tones it gives his work.